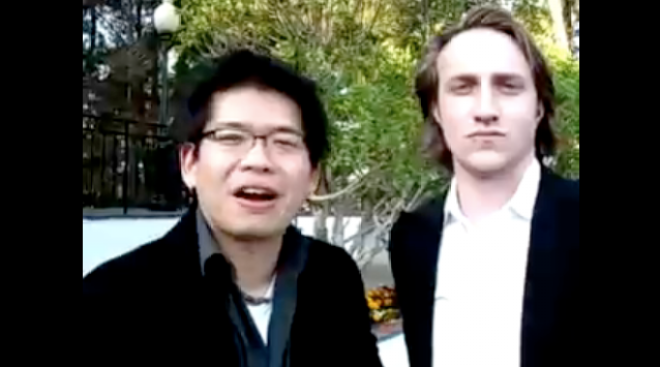 Steve Chen and Chad Hurley crowned themselves Web royalty after selling YouTube to Google in 2006 for $1.65 billion. When Google bought YouTube for $1.65 billion in 2006, Steve Chen and Chad Hurley, the cofounders of the video-sharing site, cracked jokes about being "kings." Now Chen has left YouTube and their online-video portal doesn't seem like the goldmine it once was. Mike Volpi, the CEO of Joost, has also quit that widely hyped online-video service. Chen, who was YouTube's CTO, quietly quit his job last fall, MediaMemo reports, and is working on other projects for Google. Hurley, who continues to act as YouTube's nominal CEO and chief conference attendee, could soon follow in his footsteps -- not an unusual pattern for a founder whose startup is bought by a big company. There's not much reason to stay. YouTube is widely believed to be losing hundreds of millions of dollars a year as it struggles to attract high-paying advertisers. New Yorker writer Malcolm Gladwell recently cracked that if YouTube "were a bank, it would be eligible for TARP funds." Joost, meanwhile, has struggled, period. At a time when YouTube had at long last trained consumers to watch video on the Web, Joost went the wrong way, trying to introduce new software. It shifted to the Web too late to attract viewership -- and too late to save the career of Volpi, once a fast-rising executive at Cisco. Business 2.0 reported in 2006 that there were more than 180 startups chasing the online-video market. Screen Digest now estimates that the entire online-video business took in $448 million last year. While it's still growing quickly, that's 2 percent of the size of the TV advertising market. The nascent industry could double every year for the next five years and still not match that. Is it any surprise that the money-grubbing entrepreneurs of Silicon Valley have moved on?